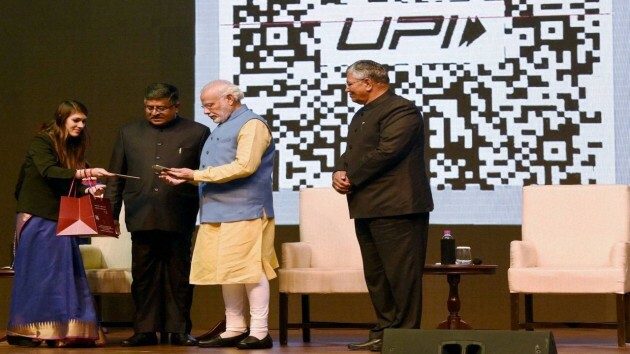 Prime Minister Narendra Modi on Friday launched BHIM Aadhaar app for retailers and merchants which lets citizens make purchases without their smartphone or even credit/debit cards. The app authenticates a customer’s biometric details linked to his Aadhaar account through fingerprint scanner. The app can thus does away with the need to remember banking details such as PINs and make cashless transactions simpler and hassle-free. How BHIM Aadhaar app works? BHIM Aadhaar works on National Payments Council of India’s (NPCI’s) existing product -- Aadhaar Enabled Payment System (AePS). “This will directly cater to about 40 crore bank account customers spread across the country whose account is linked with Aadhaar. It is a huge opportunity for enabling digital transactions as about 99 percent of adult population is now Aadhaar-enabled,” said AP Hota, Managing Director and Chief Executive, NPCI. Who can get BHIM Aadhaar app? At present, over 30 banks are participating on BHIM Aadhaar and more member banks shall be on-boarded, Hota said. Which banks support the app? Public sector banks and private banks onboarded on to the BHIM-Aadhaar platform include: Allahabad Bank, Andhra Bank, Axis Bank, Bank of Baroda, Bank of India, Canara Bank, Central Bank of India, City Union Bank (Issuer), Corporation Bank, Dena Bank, Federal Bank (ONUS), HDFC Bank, ICICI Bank, IDFC Bank, Indian Bank, IndusInd Bank (Acquirer), Indian Overseas Bank, Oriental Bank of Commerce, Punjab National Bank, Punjab & Sind Bank, State Bank of India, South Indian Bank (Issuer), Syndicate Bank, UCO Bank, Union Bank of India, United Bank of India and Vijaya Bank. Kerala Gramin Bank and Pragathi Krishna Gramin Bank sponsored by Canara Bank; Chaitanya Godavari Gramin Bank sponsored by Andhra Bank; Baroda Gujarat Gramin Bank sponsored by Bank of Baroda; and Andhra Pradesh Gramin Vikas Bank sponsored by State Bank of India.